For the past several months, I have been working with the talented guys at MacMage on a very exciting project that I have the pleasure to announce today. 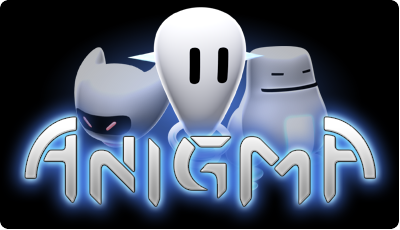 Anigma is an iPhone and iPod Touch game based on an all-time favorite 80’s classic. It sports amazing eye-candy and music, has a futuristic theme, and adds new gameplay twists. We are planning on a December or January release, and we will be giving away more information about Anigma as the month progresses. Also check out the MacMage site, teammate Ernest’s blog, the Azure Talon site, and the official Anigma site. This entry was posted on Monday, December 1st, 2008 at 9:53 pm	and is filed under English, Release, iPhone. You can follow any responses to this entry through the RSS 2.0 feed. You can leave a response, or trackback from your own site.